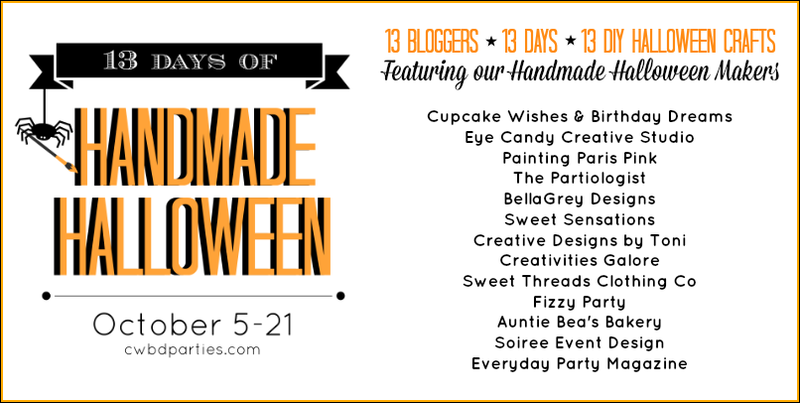 The countdown to Halloween has begun and I am so excited to be a part of the 13 Days of Handmade Halloween with Cupcake Wishes & Birthday Dreams! Who doesn't love crafting and creating fun products for your home?! 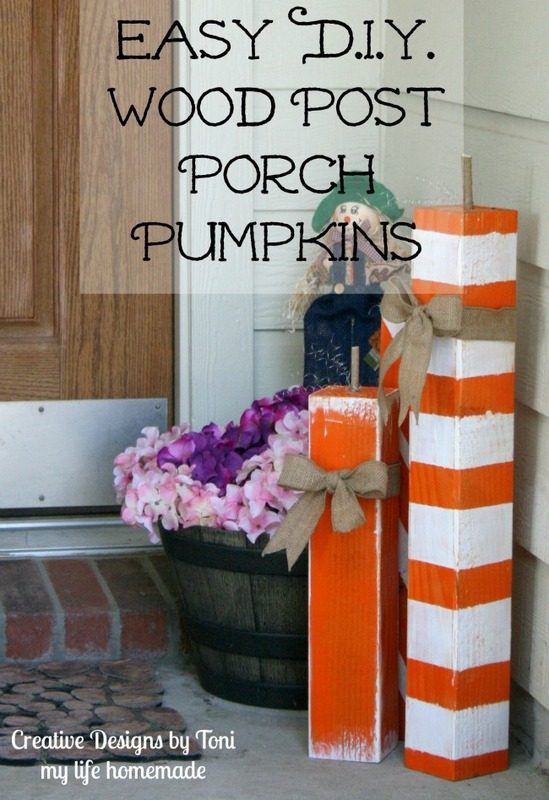 I am so excited to share these DIY Wood Post Porch Pumpkins. 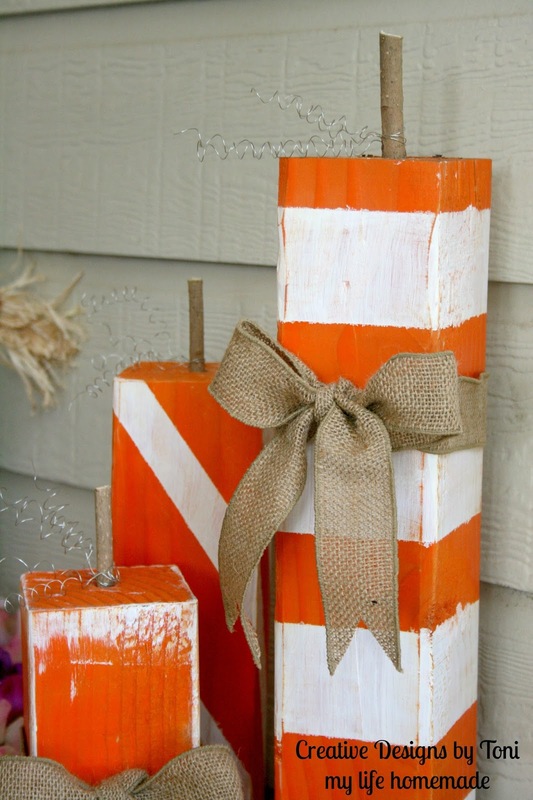 They are so easy to make you'll have a whole pumpkin patch before you know it. 2. Spray paint your pumpkins orange for a base coat. Let dry. 3. 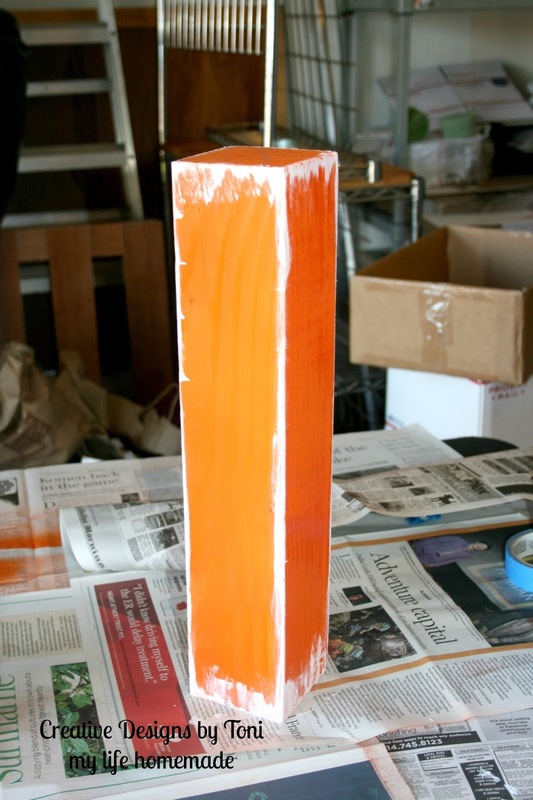 Using painters tape, mark off stripes, horizontal or diagonal. Any designs you want. 4. Use white craft paint to decorate your stripes, circles, edges, any thing on your pumpkins. 5. Drill a hole in the top of your posts and cut wood branches to fit. Use as the stems for your pumpkins. 6. 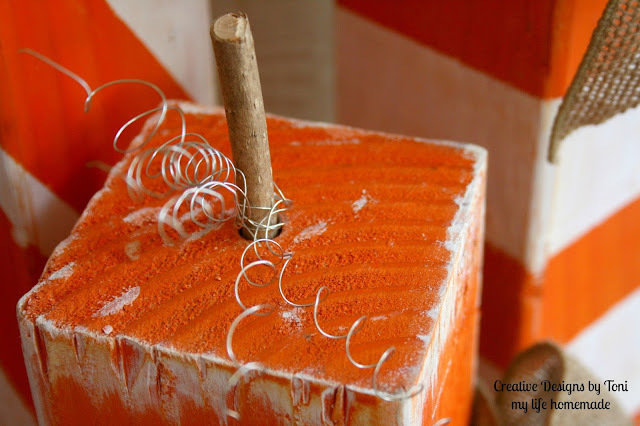 Add bows, ribbons, wires, anything to embellish your pumpkins. I kept mine simple since they will be outside. 7. 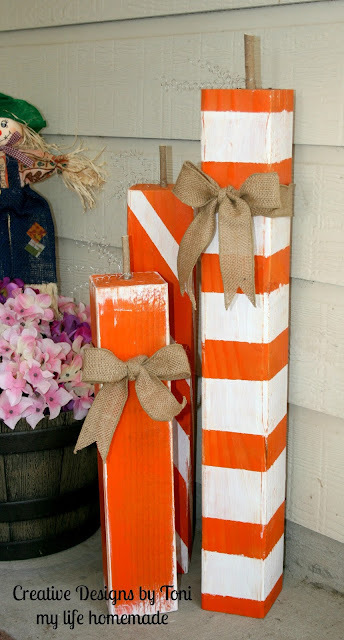 Place outside on your porch! See how simple and easy that was? 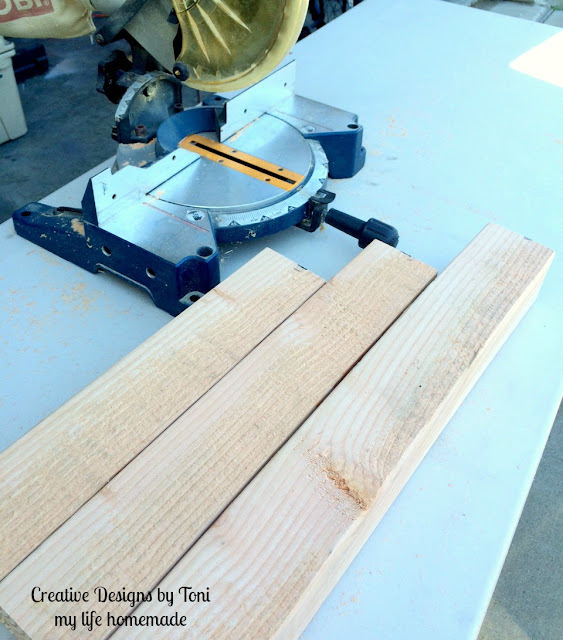 The posts were less then $10.00 and I had all the materials on had. Simple and easy craft that is perfect for Halloween! These don't have to be used just for Halloween. 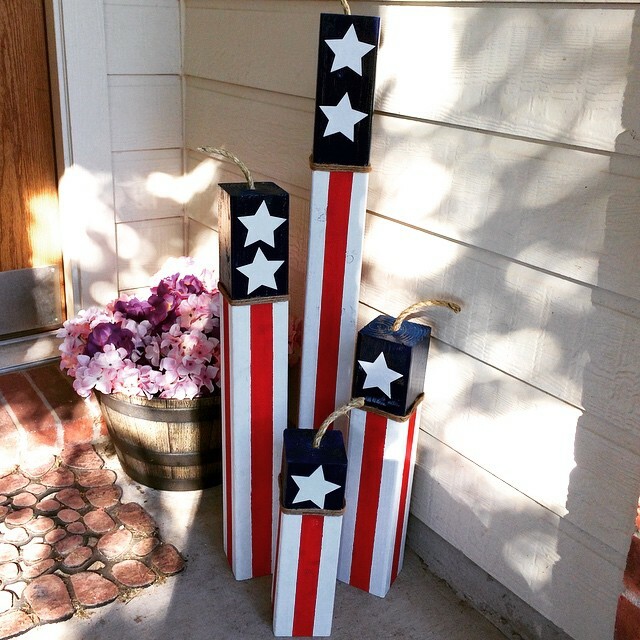 Using the same steps, just a few adjustments, these make the most cutest fireworks for the Fourth of July!!! Don't forget to follow along with Cupcake Wish & Birthday Dreams for all 13 days of Handmade Halloween! Follow along with more our crazy adventures on facebook, Twitter, Pinterest, and Instagram. Check out our homemade products in our ETSY shop.